Those conscious in an age when we carried around bandoliers of gadgets rather than a single device to text, surf the web, make and receive calls, take pictures, and shoot videos may recall Cisco's Flip video pocket camcorders. Small, affordable, and--in later models--capable of shooting HD footage, Flip cameras were popular items for those seeking an easy way to capture video on the go. And then mobile phones with their increasingly capable cameras put an end to all that. While the cameras may have passed on some time ago, Cisco's FlipShare service lives on. Bundled along with the software offered with the camera, FlipShare lets you post videos that you can share with others. Can!? Yes, we speak in the present tense. And we do because while it may come as a surprise that the service still exists, it's likely to be less of a surprise that it will disappear soon. 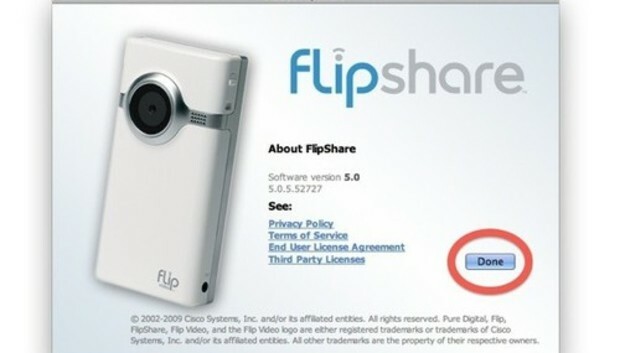 According to Cisco, come December 31, 2013, FlipShare will cease to be. You might believe that now would be a good time to retrieve any videos you've shared via FlipShare. And that would be a wise decision if you've uploaded movies to the service in the last 30 days. However, if like many of us, you want to grab copies of the videos you uploaded two years ago when FlipShare was still a going concern you'll be disappointed to learn that those movies are gone. Log into FlipShare.com and you see this no-nonsense message: Videos older than 30 days are no longer available. And so passes an interesting attempt to produce a pocketable video ecosystem--from camera to computer to consumer. Should you still have some retrievable videos on FlipShare (or this simply serves as a reminder to recharge your old Flip and see what it holds), Cisco suggests that you share your movies via a service with a future.